Hold the press, there's definitely some magic in these tires. 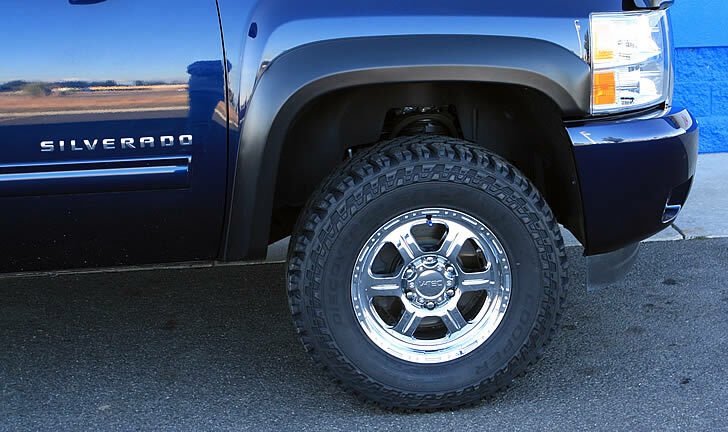 Destined for a Christmas in Alaska, we swapped out our Cooper AT3 tires on our Silverado with a shiny new set of Cooper ST MAXX tires from Tire Rama in Spokane WA. Ever since we saw the first photos of these tires being tested in the rigors of Australia's Outback we knew we were going to test them through the frozen tundra of Alaska and the Yukon Territory. As things are looking, the Cooper ST MAXX tires are about to meet a whole new challenge. With lots of early snow, the roads have been treacherous. This is an ongoing review of the Cooper ST Maxx that will take you through some of the most demanding winter driving conditions mother earth has to offer. Deep snow, glacial ice, bottomless mud and that sticky clay that overwhelms most tires that come in to contact with it, this will be a winter challenge that uncovers any weaknesses of a very promising tire. Right from the beginning we noticed there was a marked change in the amount of road noise with the Cooper ST MAXX when compared to the Cooper AT3 tires we just took off for the winter. At highway speeds the sound is there, nothing horrible mind you, but there none the less. On dry roads the noise was about what we expected from the more tread of the ST MAXX. Our AT3's were super quiet so changing to the ST MAXX we initially noticed the sound more then most would. After a short time, the sound from the tires was simply not an issue. Like their counterparts the AT3, these tires were super smooth on the highway. For a commercial grade 10 ply traction tire we never expected to have such a comfortable ride. Running 60 lbs of nitrogen, the Cooper ST MAXX kept our Chevy's sports car feel intact while adding the option for some serious off road driving whenever the opportunity arises. A few photos from our drive to Alaska where we are currently testing the Cooper ST MAXX in this harsh winter enviroment.